From the Rosenberg Railroad Museum to the RiverPark Splash Pad, Rosenberg is a Texas town with plenty to offer. With just over 30,000 residents and a location near Sugar Land, Rosenberg is close enough to the metropolitan area to share a large selection of nightclubs, restaurants, and theaters. This little Texas town is a perfect place to be when you have a dental emergency. General dentists, dental surgeons, periodontists, and orthodontists provide all of the dental services that you need while you visit Rosenberg. 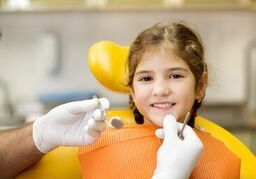 The Emergencydentistsusa.com website makes it so easy to select a great Rosenberg dentist. Our convenient website provides you with dental office hours, driving directions, services offered, and even insurances accepted in one single location. Scroll through our comprehensive listing of Rosenberg dentists and click on the office that suits your needs. Find your new orthodontist, general dentist, periodontist, or dental surgeon right online without the hassle of wandering the city. When it takes a little more help to select the best Rosenberg emergency dentist, just call our 24-hour dentist finder hotline. This service is totally free and connects you with a caring agent who is standing by to help you pick a new dentist now. Your agent can also help you to set up your first appointment and give you driving directions if needed. Remember to bring your dental insurance card and photo ID with you to your first dental appointment. Arrive early so that you have time to fill out the new patient paperwork. The city of Rosenberg is a fun and exciting little corner of Texas. It is also a great place to end up when you have a dental problem. Just scroll down to view the top three emergency dental offices in Rosenberg. Description: Rosenberg Family Smiles is an excellent choice for anyone with a dental emergency. Three caring dentists and convenient office hours make it simple to get that dental problem cared for quickly. This dental clinic provides both restorative care and cosmetic services and accepts most dental insurance plans. Description: Two caring dentists and a friendly office staff make Brown Dental Group a favorite in Rosenberg. This family dental clinic offers a variety of treatment options including cosmetic dentistry, restorative care, general dentistry, and sedation services. Office hours are designed to suit your needs, and you can even schedule an appointment online. Description: KRB Dentistry is located in the heart of Rosenberg. This family dental clinic provides restorative care along with cosmetic services for children and adults. Dental sealants, dental implants, and even braces are available at KRB Dental. Tooth pain is one of the most uncomfortable types of pain imaginable. When your tooth pain lasts for more than an hour or two, make an appointment to see your Rosenberg emergency dentist right away. Any dental problem that begins with an accident like a fall or a car accident should be followed up with a visit to a hospital emergency room or urgent care center as soon as possible. Once you are cleared by a medical professional, you can visit your favorite Rosenberg dental clinic to have that tooth pain addressed. The Texas Dental Association website is designed to make it simple for you to ensure that your new Rosenberg dentist is properly licensed and credentialed in the state of Texas. Just log onto the website and enter your dentist’s name to view these documents online from your own computer. You can also find current licensing and credentials by visiting your dentist’s office. Most dentists keep these licensing and credentialing certificates on display for their patients to view.